As of 10:00 p.m. on Saturday evening, I am off for Christmas. I was lucky to be able to get Sunday off. It is production weekend at the Q-Notes office. I guess it is a good thing our copy editor is Jewish? I go back to work shortly before noon on Wednesday, Dec. 26 (although I’m technically “working from home” — I am in the news business you know, and news never stops). Posting of news will be light for the next few days, although I’ll keep up with the continuing comment thread on the “An awkward ‘homecoming’ – Part Two” post. 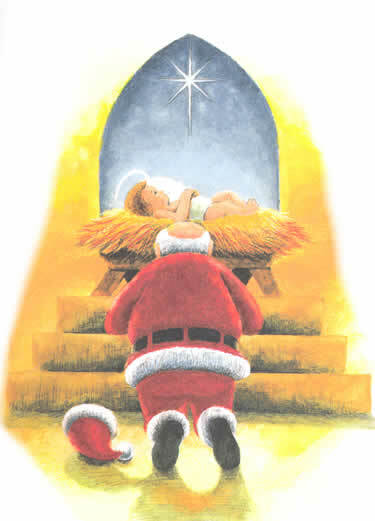 I’ll also be posting some Christmas reflections and the annual re-posting of my signature Christmas post (I think it might get an update this year, as well). By now, you’ll have noticed the color changes. Red and Green have replaced blue and gray in recognition of the Christmas holiday. Your first Christmas reflections are below. They are the quotes from two of my most favorite Christmas songs (one featured in the header image and the other in an image below each post and above each posts comment section). Christ is the Lord, Let ever, ever praise we. Noel, Noel, O Night! O Night Divine!